Pro Tools | Waves Announce Support For mac OS Sierra - What's Left? Waves Announce Support For mac OS Sierra - What's Left? 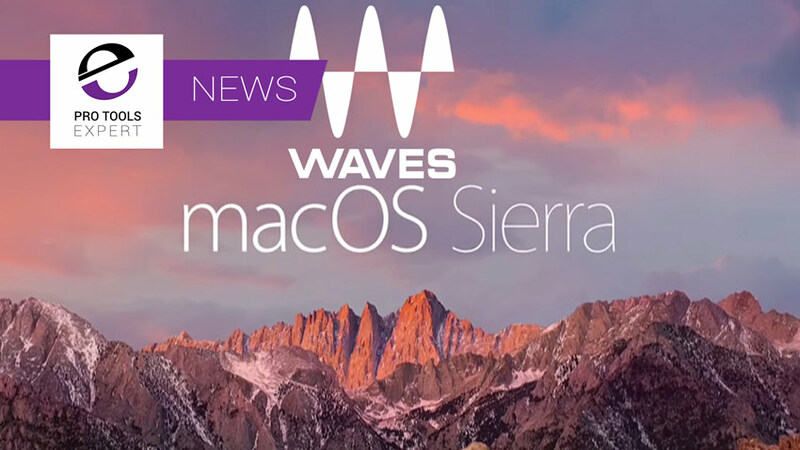 We have just updated our mac OS Sierra compatibility article with the news that Waves have just announced that their plugins are now supported with mac OS Sierra. All Waves plugins (V9.6) and software applications are now fully compatible with Mac OS X Sierra 10.12.1. Compatibility has been tested and confirmed. If you are using a VST-compatible DAW, you will need to reinstall your Waves plugins and software applications using Waves Central in order to use them in Mac OS X Sierra. For me this was the last big one that I was waiting for, but I note that Waves are supporting 10.12.1 rather than 10.12.0, so make sure you have updated mac OS Sierra too. Who Are We Waiting For Now? With Avid and Waves announcing mac OS Sierra support who are we waiting for now? Do please share in the comments what updates you are waiting for now, or what is stopping you updating to Sierra, or your experiences if you have updated already. Is it all working well, or are you having any problems?